May yours be filled with peace, love, and joy! Akhenaten, King Tut’s father, must have had a supremely interesting face. These sketches are from an exhibit I visited a while ago on King Tut and Akhenaten stole the show for me. He imposed some serious religious reforms that were subsequently destroyed after his death. His reforms included eradicating old gods and replacing worship to one god, Aten, the sun disc. Tutankhamun’s original name, Tutankhaten, reflects this. The above is drawn from an extremely accurate reproduction of King Tut‘s mummy. The feet fascinated me. Click on any of the images to enlarge! Can-can dancers, Tuba players, and a vibrant accordion player in bright blue shoes. 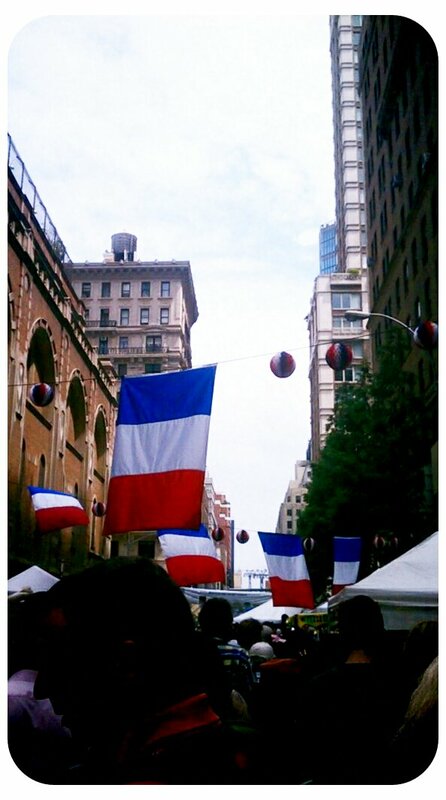 Fiaf puts together a fun Bastille Day celebration every year on July 14th. That’s next Sunday! You should drop by! The 2012 Bastille Day was a really hot, humid affair, crowds packed into a narrow street alive with color, music, excited kids and the smells of delicious food. Much like a street fair in Paris, I’d imagine!